Developed in 1887, this triple-milled soap soothes and moisturizes skin with coconut oil and rinses clean, leaving only a refreshing barbershop scent. Something about summer makes you want to keep your showers cool and your grooming routine minimal. And there's nothing easier than lathering up with an old fashioned bar of soap. The problem with most mass market brands is that they go quick and tend to dry out your skin. And then there's the scents. Some smell like laundry detergent, others like candy, fruit or women. These small-batch soaps do a body good and leave you smelling, well, like a man. Made from Italian mineral spring water, this soap is naturally anti-bacterial and anti-fungal (great for the gym) and has an old school medicinal smell. Lightly scented with essential oils, this black bar gets its hue from mineral-rich volcanic clay and its rich lather from pasture-raised Nubian goat's milk. Crafted in Berkley, California from local ingredients, this all-natural bar has woody-scented suds steeped in bay leaves, redwoods and sea mist. This long-lasting soap actually works for both your face and your body—exfoliating dead skin and clearing blemishes while leaving skin moisturized. 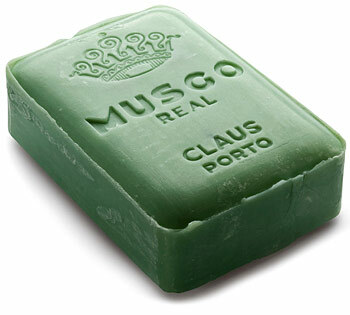 Industrially made bar soaps first became widely available in the late eighteenth century.